Trafford Publishing - Bloomington, Indiana, USA. 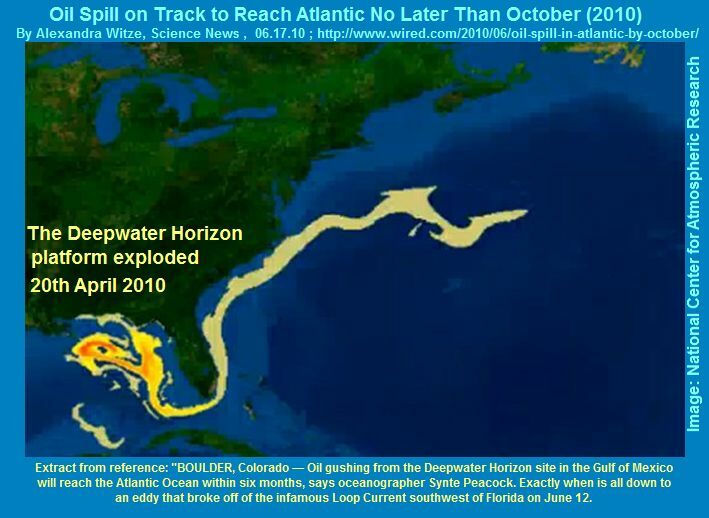 Deepwater Horizon oil spill impact on winter weather in Europe 2010/11 and elsewhere – possible? North Atlantic sea ice in summer 1917; contributing to the biggest climatic shift last century? And what caused this extraordinary event? 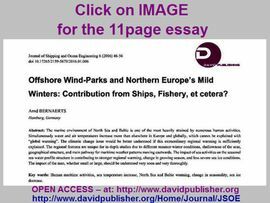 Offshore Wind-parks and mild Winters. 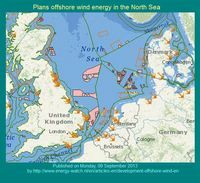 Contribution from Ships, Fishery, Windparks etc. 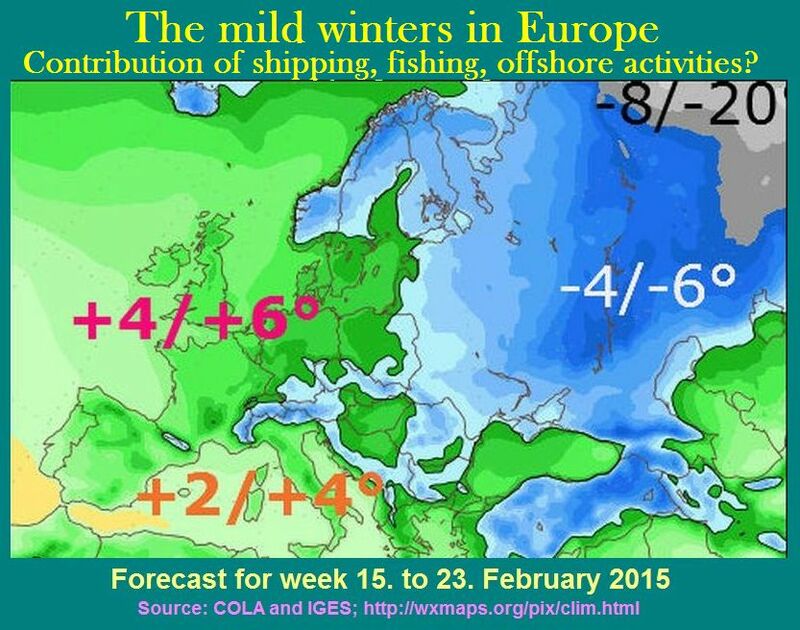 The actual winter 2014/15 is up to now no winter in Northern Europa (Fig. 1-2). Can anthropogene activities in the North Sea, Baltic and coastal seas be made partly responsible? Presumably yes! Stirring hot coffee will cool it down. At the end of August the sea areas have gained their maximum potential of warmth. Many ship propellers are plowing through the sea stirring the surface layer to a depth of 15 meters. In the North Sea and Baltic there are continuously up to ten thousand large and more motor ships at sea. 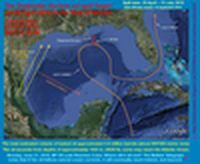 Several thousand offshore facilities on the bottom of the sea or anchored offshore rigs divert currents at sea and influence tides and currents as a permanent resistance against the normal flow of huge amounts of ocean water. (Fig. 3-8) The result is like stirring hot soup. Warm water will come to the surface and the heat will supply the atmosphere with warmth. The air will become warmer and the winters will be milder. The correlation is not to be overseen. It is not relevant to climate research or agencies allowing offshore structures who do not consider such evaluations. A number of cold weather records were observed in Europe in late 2010, due to a “blocking” of weather”, whereby the movement of migratory cyclones was interrupted. 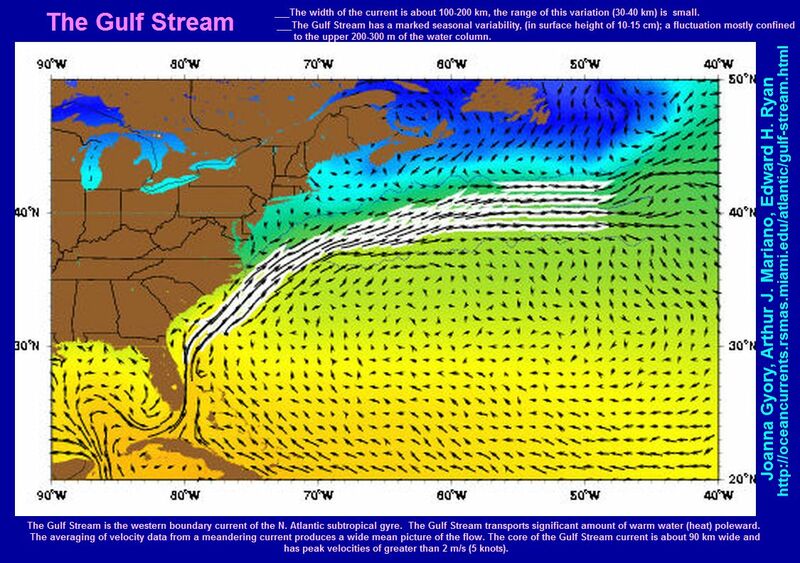 The blocking source is closely related to general North Atlantic conditions at that time, which we summarized in the section below: FACTS – Reports- Analysis Autumn/Winter 2010/11. 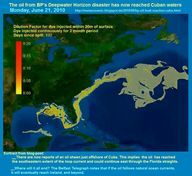 Only six month earlier the most sincere marine environmental disaster took place a few thousand nautical miles away in the Caribbean. 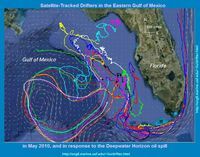 The largest oil spill ever occurred on 20th April 2010 in about 1’500 meter depths in a semi-enclosed sea in the Gulf of Mexico about 42 miles off the coast of Louisiana. 10 years later the responsible company has spent more than $28 billion on cleanup costs and damage claims, and may eventually be liable for at least another $18 billion in damages. 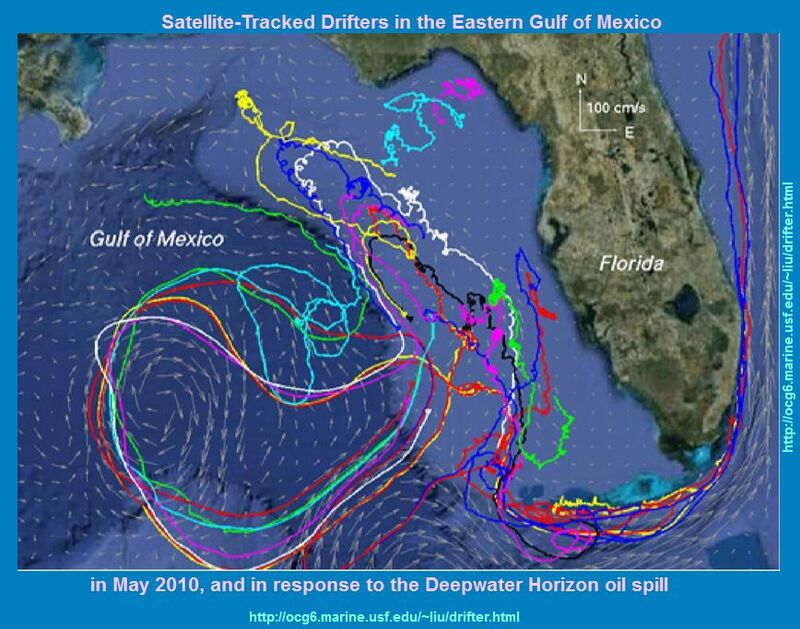 The case had an extraordinary dramatic, and is presumably now one of the best investigated case ever, if one aspect had not been ignored, namely whether a significant part of the oil has passed the about 500-700 meter depths waters around Florida, and changed North Atlantic condition along the Gulf Current and subsequently the weather pattern in Europe and in the wider Northern Hemisphere during autumn and winter 2010/11. shift last century? And what caused this extraordinary event? which meteorology did not expected, reckon, or is able to explain! Cold spring 2013 in NW-Europe will last through May. 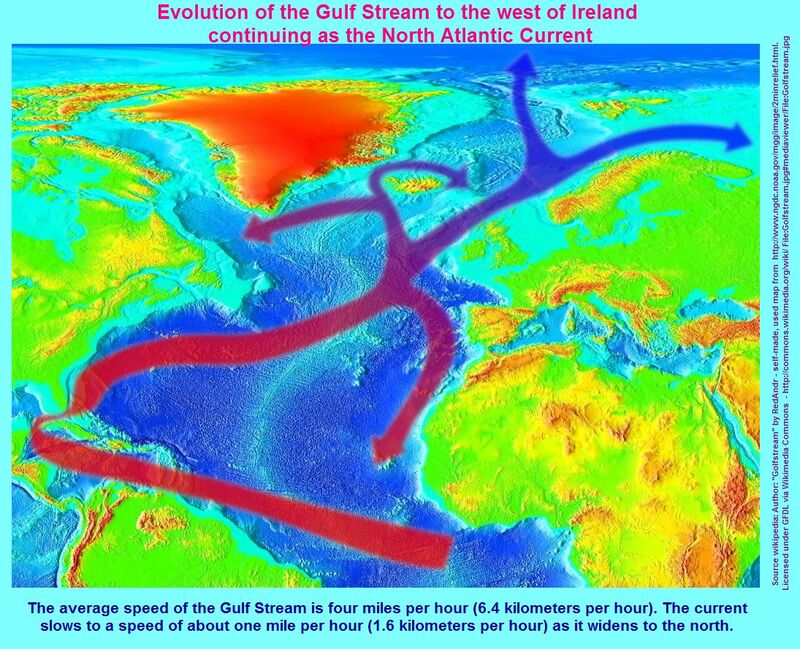 The Atlantic & North Sea factor. 'Urgent' need to see if Arctic affects UK extreme cold? No! MetOffice should investigate the impact of human activities in the North- and Baltic Sea ! Only four months needed for a man made extreme winter 1939/40? The naval war share – A proof in three steps! Worst weather forecast ever finished Blitzkrieg on 5th December 1941! How Hitler shot himself in the foot! 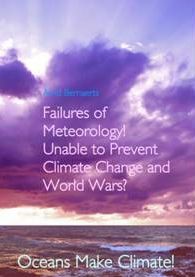 Failure of meteorology - a boon to mankind! 3rd Extreme War Winter 1941/42 was predictable! Naval war caused weather that stopped Wehrmacht to reach Moscow ! Two World Wars! Two Climate Changes! 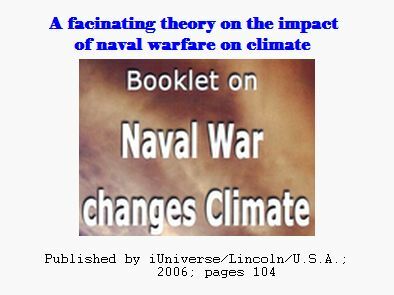 The Role of Naval Warfare! PDO shift 1943/46 & Japan ’s record temperatures 1945. 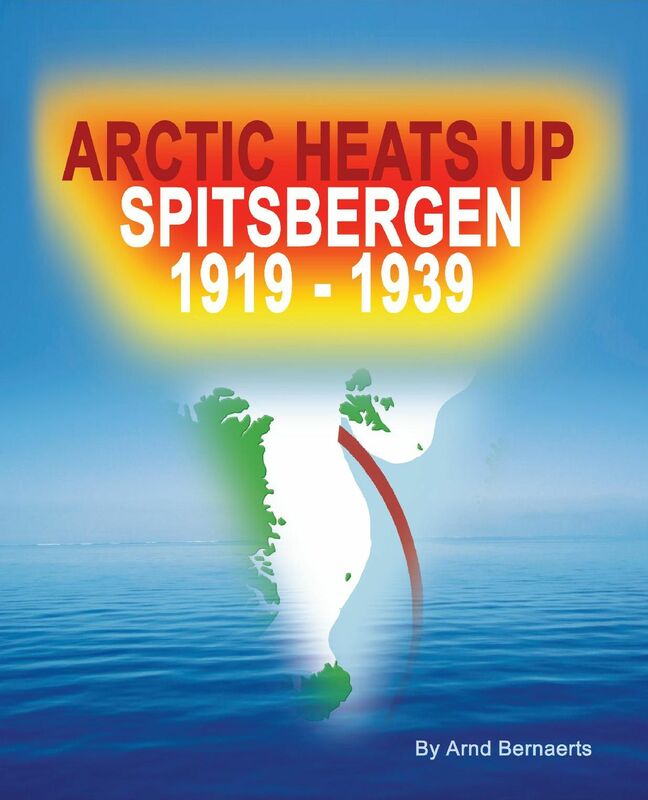 Arctic Warming 1919-1939. Did Four Years Naval war Started it? 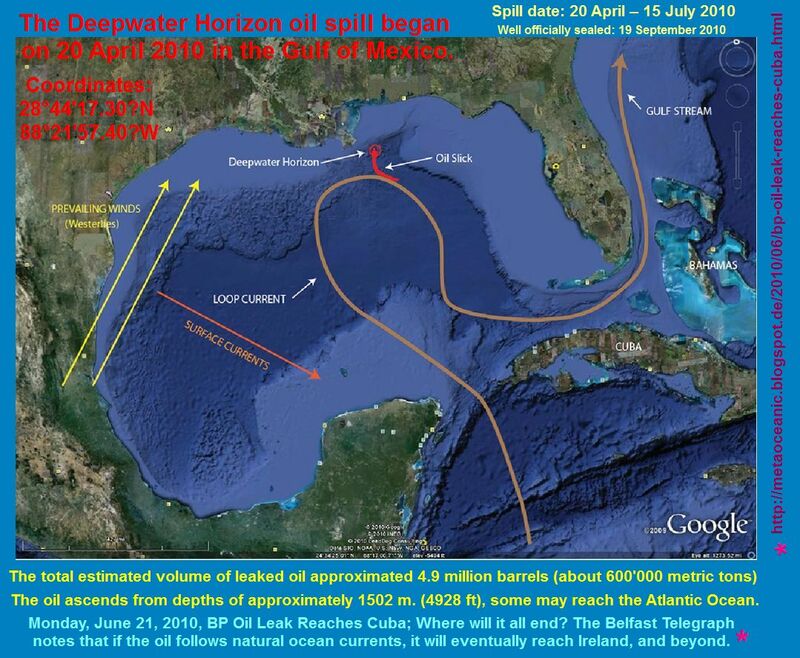 DeepwaterHorizon oil spill impact on winter weather in Europe 2010/11 and elsewhere – possible? U.S.A: iUniverse, Bloomington, IN 47403, ISBN 978-1-4401-4087-7. Europe: Books on Demand GmbH, ISBN 978-3-8370-9524-1. 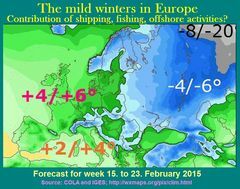 04 April 2013: Did the cold March 2013 came from Siberia ? A not well founded claim! 20 March 13: Mark Maslin and Patrick Austin on: “Uncertainty: Climate models at their limit?” Do they understand too little from climate to discuss the matter sufficiently? Pages: 232, about 170 figures and 14 pages in color with temperature maps.